Thanks to our partners, who make it all possible! Learn about the Power of Partnership with Leadership Texarkana. Dr. and Mrs. John S. Griffin, Sr.
Martha and Josh Morriss, Jr. 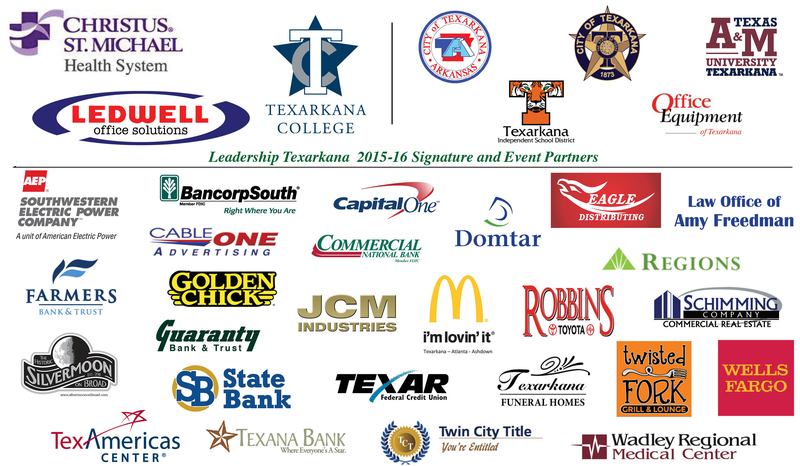 Explore Leadership Texarkana partnership opportunities.